After the Dutch High Court verdict (delivered in April 2014), which ruled against Morgan’s rehabilitation and possible release in Norwegian waters, we at the Free Morgan Foundation (FMF) were not only disappointed, but we were shocked that the overwhelming evidence to support Morgan had been ignored. Spurred on by the injustice to her we continued to collate the evidence we had gathered. The three entertainment theme parks involved in the global whale laundering scheme. We also began the process of unravelling the intricate and complicated situation, which involved three commercial facilities/businesses (Dolfinarium Harderwijk, Loro Parque and SeaWorld Entertainment, Inc.), three Countries (Netherlands, Spain and United States of America), three Management Authorities (Government Departments) of CITES (Convention on International Trade in Endangered Species of Wild Fauna and Flora) from each of those countries (i.e., those who issue the permits and control the trade of orca and other animals) and, various individuals who were deliberately misrepresenting information in order to manipulate events. The ‘smoke and mirrors’ techniques used (that is the obscuring or embellishing of the truth of the situation with misleading or irrelevant information) were rooted within the framework of the law – that is, if Morgan was to remain in captivity, she HAD to be transported for only one purpose; ‘Scientific Research’. There was no other way to get a legally valid permit within the EU. Rather, in order to make this happen, the subterfuge was amplified by those representing both Dolfinarium Harderwijk and Loro Parque to the point where the Dutch High Court, incorrectly perceived that that valid ‘Scientific Research’ was actually being conducted at Loro Parque. It took nearly a year of investigations by the FMF and applications to the Dutch, Spanish and USA Governments under their respective ‘Freedom of Information’ laws, for the FMF to obtain the evidence that clearly illustrated our concerns. From these documents (along with those which we had presented earlier in Court), two members of the FMF (Spiegl & Visser) carefully laid out the chain of evidence and showed that the pattern of behaviour of the companies involved reached back decades. How to Launder a Whale? 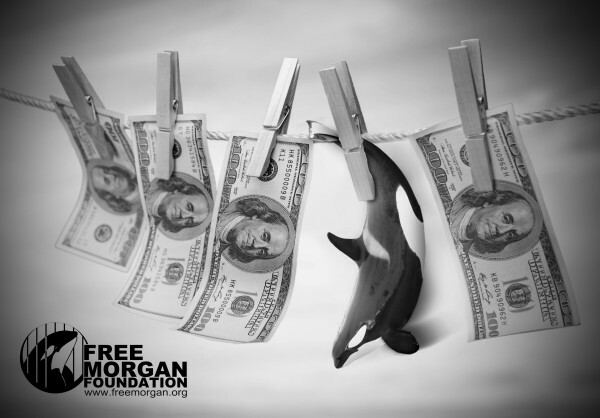 Morgan the orca, just like ill-gained money, has been laundered. The White Paper explains how. Spiegl & Visser described how an orca, just like ‘dirty money’, could be laundered to come out ‘squeeky clean’ and appear to have entered into the system in a legal manner. It is worth noting that Morgan brings, to the industry, a new bloodline (and that this is an important and vital aspect when considering how inbred most of the orca in captivity are). Furthermore, any of Morgan’s offspring will apparently not only be owned by SeaWorld Entertainment, Inc., but they can be sold, traded and shipped globally, because they will have been born in captivity. There will be little or no restrictions on what they can be used for, or who they can be sold to. This is the cycle of ‘laundering’ a wild-born orca such as Morgan, where profit drives the process and outweighs welfare and compassion. 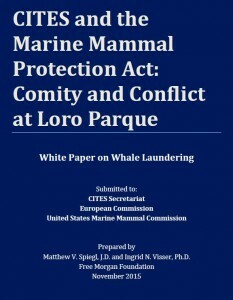 From the chain of evidence which Spiegl & Visser uncovered was born the 2015 document known as the Morgan White Paper on Whale Laundering (or by its more formal title of “CITES and the Marine Mammal Protection Act: Comity and Conflict at Loro Parque”). This 124 page document, which is extremely complex and laden with cross references, is a turning point for exposing the industry. At no point in the history of keeping cetaceans captive has an individual case been so intricately investigated, nor so well documented. 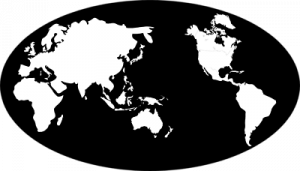 What the FMF has exposed is of global consequence. 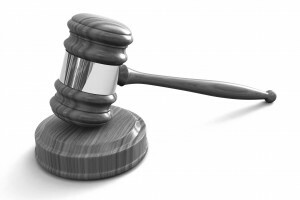 Although currently involving three companies, in three countries, the implications are that any offspring from Morgan can be legally transported to any facility around the world. In effect SeaWorld Entertainment, Inc. has acquired an asset worth around US$20 million dollars, an asset that will likely reproduce more assets of similar value, all for the Dutch Government fee of €15 (required to obtain a CITES permit within the European Union). How does Morgan’s Verdict fit with this White Paper? It is worth reading the Morgan White Paper in the context of the Verdict issued for Morgan’s transport and the issuance of her ‘EG Certificate’ (the permit issued to transport her within the European Union). This EG Certificate was issued with a governing letter that clearly outlined what Morgan could only be used for (‘Scientific Research’), but Loro Parque continues to violate the restrictions imposed by the Dutch Government and, unfortunately, the Spanish Authorities continue to allow this to happen. Furthermore, the USA Governmental Departments, responsible for keeping animals protected under the USA Animals Welfare Act, have yet to respond to repeated requests to investigate the situation at Loro Parque. Who has a copy of the Morgan White Paper? On 6 November 2015 the FMF submitted formal complaints and initiated requests for action to the Spanish and Dutch CITES Management Authorities (MA) as well as to the CITES Secretariat, in Switzerland. We also submitted a request for action to the United States National Marine Fisheries Service (NMFS) . Additionally, we sent copies of the Morgan White Paper to many others and you can see part of the list below. We hope that you will speak out for Morgan – please write to the Dutch, Spanish and American Governments, their Embassies and your local Government representatives. Their contact details are different for each country, so we suggest that you do a simple search online, however, some addresses are already listed in the documents sent to the respective people, below. Never underestimate the power of you as an individual. Each and every letter and email that you write is a reminder to these people that we are aware that they have failed Morgan and that it is their responsibility to fix this gross wrong. Three national action authorities are involved in the situation regarding Morgan; Spanish and Dutch CITES and the United States NMFS. Each have jurisdiction over various permits and regulations applicable to either Morgan herself and/or the killer whales held at Loro Parque. With that in mind, the White Paper was submitted to these three authorities, as a supporting document intended to present the law and facts applicable to our position that Morgan’s CITES permit does not authorize breeding. These letters were transmitted to the respective authorities via e-mail and postal delivery. Finally, in preparation for the CITES Conference of Parties (CoP 17) in South Africa in 2016, the FMF submitted public comment to the US CITES MA (US Fish and Wildlife Service) for suggested agenda items concerning changes to the CITES permit process. This public comment letter was submitted to the US Government on 10 July 2015 and an abstract with a link to the white paper was also lodged on the US Federal Register at that time.